People who have hyperacusis hear things a little differently than people with relatively normal hearing. With this medical condition, ordinary sounds like running water, the ticking of a clock, or the timer alarm on your microwave not only sound extremely loud, but also can actually be painful. 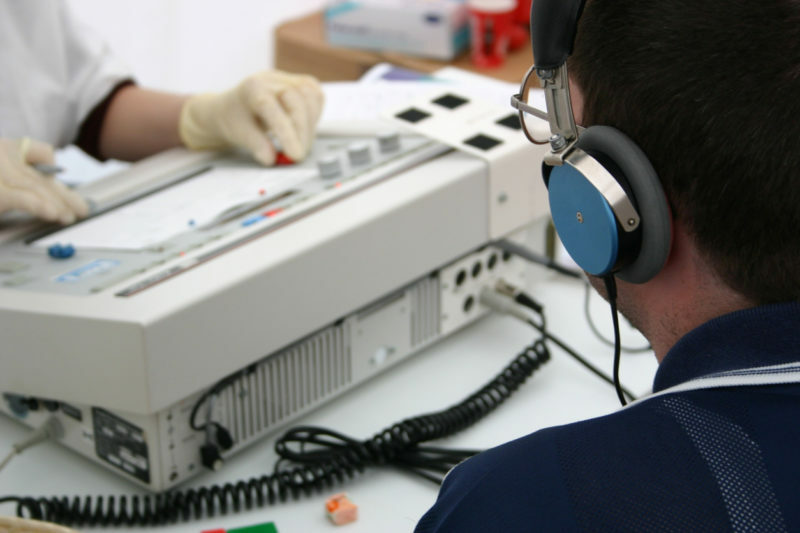 This doesn’t mean that their hearing is more acute, or that patients with this condition are able to hear more sounds than the rest of us – it just means that all normal sounds you may hear in a typical day are heard at a higher level of volume. This is not just a temporary inconvenience a with minor impact; it can literally have a profound effect on a person’s quality of life, because the condition doesn’t ever take a break – it’s there all the time. Scientists are not exactly sure what causes this condition to develop in any one person, but studies which have been conducted seem to point to exposure to one of several triggering conditions as a cause. One of the most prominent of these is noise related to a daily job routine: for instance, someone working in a factory with heavy machinery, or where a repetitive loud noise recurs throughout the eight-hour shift. Traumatic head injuries are another possible cause of hyperacusis, with many of today’s hyperacusis patients having experienced some significant blow to the head in their past. Chronic ear infections are another culprit, because even though they can be cleared up with medication, the damage they do while the infection is rampaging can persist beyond the duration of the infection itself. Migraine headaches are thought to be another possible cause of hyperacusis, since many current hyperacusis patients also experience migraines, or have had them in their medical history. There also seems to be a correlation between patients who have contracted Lyme disease or TMJ Syndrome in their past, although it is not known exactly what from those two conditions leads to the development of hyperacusis. Lyme disease is spread by a tick which can commonly be found in fields and woods, and may be brushed up against by a person. Temporomandibular Joint (TMJ) Syndrome is a disorder which causes pain in the muscles and joints of the jaw. As far as the physiology behind the actual triggering of hyperacusis, that’s the part of the equation that scientists and researchers have yet to confirm. At present, it seems likely that the fibers of the ear which regulate sound have been somehow compromised, and that the auditory nerve has suffered significant damage. Another school of thought holds that the brain’s central processing system affects how the brain evaluates sound, and for some reason magnifies it beyond its true level. And naturally enough, since there are primarily these two major theories about what actually happens in hyperacusis, there is also another group of scientists who believe that a combination of those two is the real answer to the problem. While most people have probably not heard of hyperacusis, the medical condition of tinnitus is probably much more well-known. While these two conditions are not at all same thing, they do have a relationship, in that both represent departures from the norm in the way that sounds are heard. People with tinnitus experience several different abnormal sounds in their hearing, sometimes even when there is no actual noise being generated in the surroundings. This can be felt as a ringing noise, or some kind of whistling, hissing, or buzzing, and it’s easy to see how this can be so distracting that a person’s quality of life could easily be diminished. Although hard statistics are not available to support this, it is estimated that more than 60% of patients who have tinnitus also have hyperacusis. So in addition to hearing a persistent buzzing or whistling sound in the ears, a patient who experiences both of these medical conditions would also sense ordinary sounds at several times their true volume. Having either one of these medical conditions could have a profound impact on your daily life, but just imagine being troubled by both of them at the same time! Patients who are known to suffer from both medical conditions generally find it extremely hard to just get through a normal day. As a result, there’s a strong tendency for such individuals to withdraw from life to a significant extent, and become socially isolated. This in turn, can easily slide into depression and add to the list of medical conditions the individual would have to deal with. Treating hyperacusis requires a two-pronged approach, but it does not really result in a cure for the condition. People who have hyperacusis are generally counseled so as to help lower their reactions to loud sounds, and a process known as acoustic therapy helps to retrain the ear to hear sounds at a more normal level. While there are no actual medical or surgical procedures at present which can offer significant help, some success has been achieved by the counseling/retraining program. Not surprisingly, the same approach has been used with tinnitus, with similar success. Hyperacusis: Does Pink Noise Help? If you’ve never heard of the term ‘hyperacusis,’ it refers to a condition in which a person’s normal tolerance to sounds in their everyday environment is severely diminished. With hyperacusis, the sound of a car braking at a traffic light can sound like a horrible screech, and a group of people applauding a speaker can sound like a huge thunderclap in a storm. In short, it’s as though someone was toying with the volume control of Life, and left it stuck on the highest setting – just about everything sounds extremely loud. On the flip side, someone who has hyperacusis usually has lost most of the dynamic range generally associated with hearing, which means there isn’t much difference in the loudness of various sounds. For example, an actual explosion might sound very much like a book dropping off the edge of a table. Most hyperacusis patients have a sensation of inner ear pain or a feeling of pressure in the ears which is similar to what you might feel when making a rapid descent in a commercial jetliner. On an airplane, this feeling can be easily overcome by yawning or chewing gum, but a hyperacusis patient feels this ear pressure all the time. This constant discomfort can have an enormous impact on a person’s life, affecting their job as well as their home life and relationships. For someone with hyperacusis, operating a lawn mower, listening to the radio in the car, or running a vacuum cleaner at home may not be possible. This condition has less to do with volume, and more to do with particular sound frequencies, which can make attempts to muffle out noise entirely futile as well. What can be done to help people who have hyperacusis? The pink spectrum of noise is the one which most closely matches the broad range of sounds which we hear in our normal environment. That’s why treatment for patients with hyperacusis generally involves building up a tolerance to pink noise, rather than white noise, which includes higher frequencies. The higher frequencies are the ones most troubling for hyperacusis patients, so trying to build a tolerance to white noise is not nearly as effective an approach. The goal of any program of sound therapy is to slowly and incrementally build up a tolerance to noise, but this can be a very frustrating and difficult experience for someone with hyperacusis. Many patients find that they just don’t have the patience to undergo this kind of slow therapy, and search for something that will produce faster, less uncomfortable results. If nothing helps, a patient may have few options other than to wear earplugs a majority of the time during waking hours. It’s important to find the right kind of sound therapy for your hyperacusis, and many patients have found that pink noise has helped them. The whole idea of sound therapy is to get a person re-familiarized and tolerant of the noises which populate our day-to-day world. Sounds are delivered to the ears by one of the several methods, like listening to CDs with recorded everyday sounds. But this can be an inconvenient kind of session for the hyperacusis patient because therapy sessions should last at least two hours per day, and if you’re stuck with one CD for that long, it can get to be uncomfortable and restrictive. An alternative method of sound delivery calls for custom-fitted sound generators made for your head and ears and having pre-recorded pink noise sounds played for the duration of your therapy sessions. With a sound generator, you’d be free to walk around and do other things, but it can be quite expensive. Whereas a pink noise CD costs less than $100, a sound generator delivering the same pink noise sounds might cost several thousand dollars. Whichever kind of sound delivery system you choose, there is another essential part of sound therapy: counseling. Having a trained counselor or advisor can make all the difference sometimes, which can ease the difficulties and frustrations that come with sound therapy. To begin, any sound therapy program requires a high degree of self-motivation from the participant, since no amount of cajoling will persuade a patient to undergo the uncomfortable sessions required. There will be days when the patient wants to shorten or skip the course, or even quit the process altogether. Those are times when a skillful counselor can serve as a cheerleader, and convince the patient to keep eyes on the prize and continue to forge ahead. It is quite normal for hyperacusis patients to feel that the therapy is hurting them instead of helping since pink noise can be torturous to their hyper-sensitive ears. At times, it takes some skilled counseling to assure a patient that the process is doing them some good, and not harming their ears at all. It is often a long and uncomfortable process getting re-acquainted with the sounds of our everyday world, but for the patient who sticks with it, it is possible to lessen and maybe even cure the adverse effects of hyperacusis.